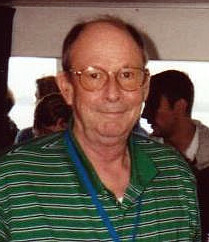 Fisicí a rugadh i Washington, DC is ea Robert Coleman Richardson (26 Meitheamh 1937 – 19 Feabhra 2013). Bhuaigh sé Duais Nobel na Fisice lena bheirt comhghleacaithe David Lee agus Douglas Osheroff sa bhliain 1996 as forshreabhacht He-3 a fhionnadh go luath sna 1970idí. Tugadh an leathanach seo cothrom le dáta an 20 Lúnasa 2018 ag 21:49.